Casino Heroes is splashing out free spins like no man’s business. This week it’s raining free spins and all active players will get to receive a share. As from the 18th to the 27th of April, Casino Heroes will be giving away 10 free spins every day for play on different slots. This campaign is only applicable to depositing players. Simply make a deposit and receive your free spins. New players are welcome too. Register an account, make a deposit and you will receive your free spins. New players will get an extra reward as a welcome bonus at Casino Heroes! By registering an account at Casino Heroes new players will receive a no-deposit bonus of 10 free spins available for play on the King’s favorite slots. You will also be eligible for the 10 free spins daily during the campaign when you make your first deposit. Furthermore, you will receive 250 free spins on your first deposit. Get up to 200 free spins for play on Jimi Hendrix at Casino Heroes! The 21st of April marks the debut of NetEnt’s new slot game release titled Jimi Hendrix and will be available for play at Casino Heroes. As part of welcoming the new game, Casino Heroes will be giving away 200 free spins daily for play on Jimi Hendrix. On the 30th of April, Casino heroes will increase its speed between 8pm and 9pm and this will help players to reach bosses faster and get more rewards. Don’t for get to catch the happy hour campaign since this only happens for an hour and you can win big. 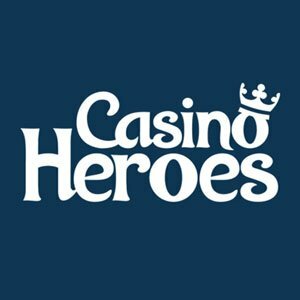 If you need to know more about this casino, read Casino Heroes Review here! NetEntCasinoReviews keeps track of the latest NetEnt campaigns taking place at various casinos thereby bringing it right to you under one roof for easy access. You can follow us via Twitter to catch all our latest casino updates.